NOTE: What is written below is seriously outdated. Much has changed in the past 10 years. Update is on our to-do list. Our objective is to live a reasonable life where our home is an extension of nature; where the systems incorporate bio-mimicry for both function and beauty. All systems work with nature to create a space that is safe and provide for our needs sustainably without compromising the needs of future generations to enjoy the same level of comfort. Our home will exhibit a practical example of sustainability both locally and globally showcasing luxurious simplicity. We plan on sharing this with others through our actions and education programs to challenge our culture’s desire for a consumer economy. Our home achieves these objectives by incorporating sustainability and research with grid tied solar PV, solar thermal heating, rain water harvesting from a living roof, compost toilet, grey water re-use, passive solar design, and all within North America’s first code approved seismically engineered load bearing insulated cob residence. Check out our media section for videos and articles on our home and life. Our vision for Eco-Sense is multi-layered. It includes family, community, and the environment. Ultimately all are interconnected in living a “reasonable life”. And to us a “reasonable life” relies on living respectfully within nature and avoids the “bigger, better, faster, more” mindset that defines overdeveloped countries like our own. For family, we want our children to learn the tools and skills to develop a more biocentric view of self where they understand their role in nature, and feel included not isolated. We want our children to have their sense of self-origin from their place on earth and in community; not their stuff on earth. For community, we see ourselves as active members whether it is the neighbourhood, the natural building community, or our friends. Our vision for the environment is to live sustainably and share what we have learned with others to help inspire positive change. We believe the energy for change comes from focusing on exciting possibilities and not on the problems. Solutions can be found through creating new visions where individual contentment, social justice, community/family values, and our life-supporting environment are all seen as one cohesive concept. BIO Ann and Gord Baird walk the talk of sustainable living in their multigenerational family home. Eco-Sense, as they call their home, is the “World’s Greenest Modern House” as rated on the greenest building program ever created… globally. Features of their home include solar PV with grid tie, solar thermal hot water, energy and water conservation, compost toilets, rainwater harvesting, grey-water re-use, living roof, earthen floors, natural finishes, and food gardens all integrated into their exceptionally beautiful and affordable example of earthen architecture. Less Life Stuff, More Life Style! Gord was raised the youngest of five children, where he spent many hours playing in a semi-rural area of Victoria. As a teenager he was introduced to canoeing and kayaking and became hooked on exploring his spectacular West coast surroundings. Originally drawn to a business degree, Gord corrected his course and instead graduated Simon Fraser University with a Bachelors degree in experimental psychology. Rather than continue with a Masters degree Gord fell into the family auto body repair business. It was here that he practiced valuing and balancing ethics and the environment with profit. When his first marriage ended, he took on the challenge of being a single dad only to discover that the status quo tended to play down the importance of the family in lieu of generating wealth. Seeking more time with his children, he sold his shares in the family business and began management consulting. Once again Gord discovered that “a reasonable life” was not fully achievable. Instead he gained an increased awareness of our culture’s insatiable selfishness and manufactured sense of need. This pushed him to the next level. In search for a women who didn’t have to wear makeup, could carry her own kayak and clean her own fish, Gord met Ann. Finally he found someone who could complete his picture of “a reasonable life”. Within six months Ann and Gord were married and a year later they purchased the Eco-Sense property. 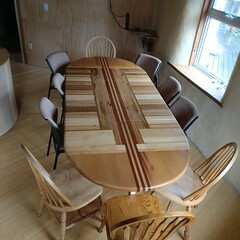 Today Gord uses his hands creatively in building everything from homes, gardens, and jewellery. He maintains that his greatest challenge is to live and lead by example, to teach his children that it is OK to step away from a culture marketing self-importance and consumerism. Ann grew up in Port Moody and completed her BSc in Biology at Simon Fraser University in 1990. As a child she always had a passion for nature and felt most comfortable outside. Ann worked in her field of study for five years primarily performing research with living systems including parasitic insects, forestry, microbiology, and respiratory medicine. With the help of her first husband, two successful computer businesses were started. During this eight-year period Ann became a competent financial manger. Her amiable divorce led her to escape the city. She moved to a boat access only property on tiny Wise Island and built an off-the-grid home. It was here where she learned first hand about resource use, composting toilets, grey water reuse, electrical, plumbing and carpentry. During this time Ann developed a passion for sustainable living and became increasingly concerned with how our “civilized society” treated the earth and each other. She eventually re-entered the workforce as the financial manager for the Salt Spring Island organic food co-op where she developed a strong social conscience and learned about the importance of local food. In the spring of 2005 Ann and Gord were married on the beach at Wise Island. Ann became step mom to two incredible nature-loving children. Ann’s interests include ecology, sustainable living, ranting, and exploring natural areas by kayak. What was the water proof plaster called that you used in your bathroom? I really enjoyed the article in Harrowsmith & am so pleased to read about how you are living. It’s called Tadelakt…Glad you enjoyed the article. When I went over to my moms for a visit a few days back for and saw the Goldstream Gazett was sitting on her kitchen table and I figured I would catch up on some community local news. 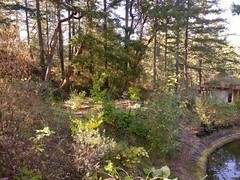 I instantly had goosebumps when I started to read the article on your home as my husband and I have just bought two acres in Sooke and been discussing building an econest for our new home. I knew right then and there this is something I was meant to do. I was so delighted to see that this was not a foreign concept and that people are making this dream a reality. I love that these types of articles open our eyes to how much our homes play a role in affecting our environment and health. I’m sad to see your tours have ended and we were hoping that we could talk to you directly to get some valuable information. Honestly, I feel quite lost on where to start. We really want to make it a reality and was hoping you could give us some direction. I love the fact that you are collecting data from your home so that this type of building practice can now get the recognition that it deserves. Thanks for your inspiring trailblazing. Wise Island has a couple more wise people now. Your chart plotting Wood vs. PV vs. Solar Thermal solar is revealing. Keep up the good research. Klaus, Seattle. We enjoyed reading about you in Harrowsmith and Cdn Geog …beautiful place and great approach. We’re working on an Econest here in southern MB (and living in it). 12″ claystraw walls, clay floors, etc. Did you do any clay countertops (esp kitchen)? Looks like wood but the article says cob. We had done our kitchens before we had experimented with earthen countertops. We have many earthen countertops, and they are our choice by far… wood is nice but earth is better, and quicker. I beleive we have notes posted on earthen countertops in the floors and counters booklet on the website. Right. I found that page after writing you. Would you have a wood lip around the sink opening? or do you just have a clay edge? Your notes refer to oil as the finish, but did you put on a final coat of wax or hard oil or something? If you had a butcher block inset, would you screw it to the plywood base? Are screws/nails in the wood where it meets the clay essential? Your attention to detail and the lengths you’ve gone to re performance testing and cost data are amazing ….not to mention dedication to writing about it for all of our benefit. Kudos! We usaully make a wood edge (nosing) around the edge, of a hardwoord like oak or black walnut or elm. We would experiment with a clay edge, but before we post on the technique we would want to put it through its paces… we would probably enhance the plasters strength with casein or white glue (but have not done this yet. We use boiled linseed oil… Nature Haus makes a tripled boiled linseed oil (food grade), or you could use pure tung oil. after several coats of oil (each burnished in with a stone), and after leaving a week to harden(oxidize) we apply a hardwax oil like Osmo. If we had a butcher block inset, we would screw it to the plywood base. I would highly recommend a mechanical tie between the butcher block and clay edge… this stops the earth from shrinking away as much. Screws, nails, or a strip of expanded metal lathe stapled to the butcher block and to the base of the plywood counter base. Thanks again Gord. Very helpful. Burnished with a “stone”? Not sandpaper, as per your notes? Re sink placement …anything special there? Just drop in with silicon seal beneath sink lip? We began using a stone about two years ago, and have a preference towards the finish and how well the stone compresses the materials. If you have acces to a stone shop that sells polished stones great, if not then you can use an orbital sander and spend an hour smoothing a stone… finishing it with 400 wet and dry sandpaper. For sink placement, the only consideration is to use a sealer between the sink and counter top (Kitchen and Bath silicone sealer). Pingback: “The Greenest Modern Home in the World” « nQuire Services Inc. I have a couple of questions for you and I hope that I don’t sound dumb. This is all new for me. First: What do you use for cleaning, such as dishes, laundry, shampoos and soaps? I know that you don’t put anything that is harmful for your environment or the worms. Next: Is the stove that you use for propane the same as a gas stove that you would buy for a home with natural gas? I’ve never known if there was a difference in the two. Last question at this point: Do you build for other people or know someone who does? My husband and I are disabled and not physically able to do all the building ourselves for a home similar to this. We want all one level, Cobb house, with solar power and wind power, collect rain water, have the hydro heat in the floors etc. The only thing my husband does want is a flushing toilet; so I said we could go with a septic tank and only flush our human waste. I like the composting idea for everything else for sure. 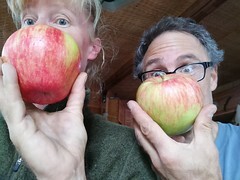 We currently live in Oregon and want to get away from the city and live off the grid and grow our own food as much as possible. Thank you for your time. Have a great day. Maria, no questions are dumb… only if a question is never asked. For cleaning we use Nature Clean All Purpose for our dishes and for the hand and shower soap, and use Gentle Earth Laundry Powder for the washing machine. The stove is gas, and any stove that is gas can be converted to propane or natural gas (or methane biogas) by having a gas person inserting the correct orifice for the burner; if we decide to create our own methane from a digester, we just adapt our stove easily as most stove come with the different sets for the gas installer to install. We have been building for other people, and have been building alongside the home owner, though as of two years ago we now recommend Ben Macklin of Earthscape Homes, as we are tied almost full time to our plants. For recommendations in Oregon, I might suggest contacting Ianto Evans, as he has strong ties, is very reputable, and nows the state’s regulations very well. Hope this helps. Thank you so very much for your information and kind response. You were very helpful and I will look into contacting Ianto Evans here in Oregon and see what we would need to do. Also plan to look for the products for cleaning so that I can convert even more so the environmentally safe things that I am doing. Have a very blessed day. Is there a phone number to call you? We are interested in buying all sorts of plant starts such as sweet potato slips, tumeric, ginger, lemon to name a few. Would love to connect. Hi 🙂 I have some buckets of beautiful soft clay that I was preparing for cob building… but now I’m moving and can’t take it with me.. would you be interested or have a use for it? Would like to purchase a mulberry tree. Excellent Lizzy. I was inspired by reading your post and checking out your blog. I shared on Facebook.